Despite civil unrest, economic collapse, and the burden of being white, Sharon—once one of information technology's elite—defies the odds and stays on in the remote Hwange bush, despite millions of people fleeing the country. Over time the elephants embrace her as one of their own. Ultimately, she forms one of the most remarkable relationships with wild elephants ever documented anywhere in the world. But they are the nation's flagship herd, linked to a president whose party is determined to stay in power at any cost. What unfolds, as Sharon battles to keep this clan of extraordinary elephants secure, will have you laughing and crying at the great joys, the sorrows, and the absurdity of it all. 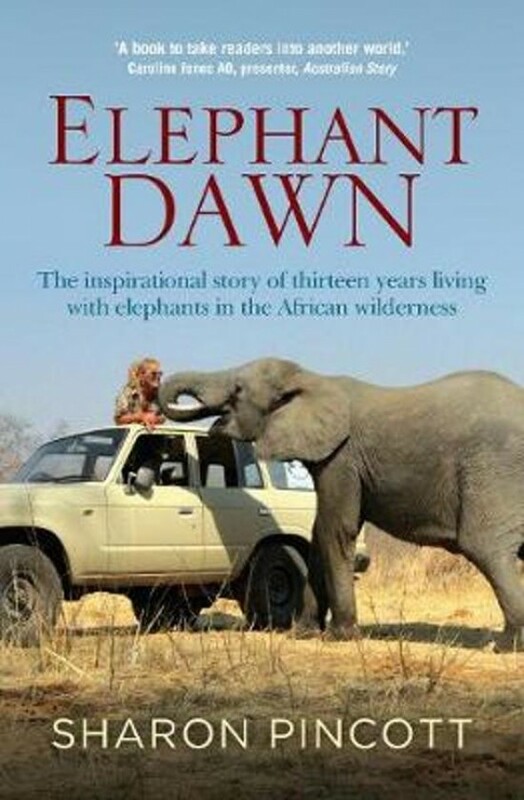 From the gentle giants of the African plains to the goliaths of Mugabe's regime, Sharon takes us on an unforgettable ride in the wild heart of Africa as she shares the elephants' daily lives, while navigating the battered soul of this once dynamic nation. Elephant Dawn is a celebration of love, courage, and honor amongst our greatest land mammals. With resilience beyond measure, this intrepid Australian earns the supreme right to call them family.